Want to know what it takes to plan the perfect wedding? Let wedding planner Tan Weiwei tell you more. Her job is to plan every couple’s happiest day – their wedding day. 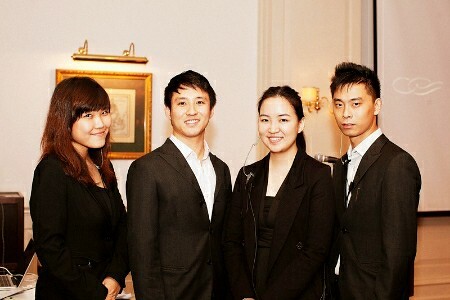 In 2009, Ms Tan Weiwei founded Chère: Weddings & Parties and works as a wedding planner. Two weeks ago, I visited Weiwei at Sentosa Golf Club to catch her in action as she prepared for a wedding that evening. WEIWEI (SECOND FROM RIGHT) WITH HER TEAM. At the lobby of Sentosa Golf Club, her team was working on finishing touches of the customised wedding favours, before setting up the dinner venue. My interest in weddings sparked after my relatives got married and I attended their weddings. The interest was further fuelled when I was part of the Girl Guides in secondary school and planed school events and campfires. 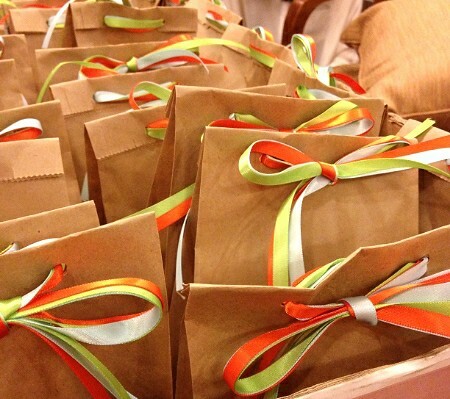 How did you start out as a wedding planner? Besides dabbling with events planning in secondary school, I was planning my friends' 21st birthday parties while going through formal education for wedding planning in 2008. After getting my specialist diploma, I started planning weddings of close friends. With the support of my family, I formed a team with a few friends and started this company in 2009. What is the job scope of a wedding planner? It depends on the event. Let's take a full wedding as an example. I will meet up with the couple for discussions to find out about their personalities, likes and dislikes before brainstorming for a concept and the style of the wedding. After settling the big picture, I start to work on the details such as the couple's budget, possible wedding venues and engaging vendors for flowers, decorations and music. Once these are done, I put everything together in a schedule and prepare to run the actual wedding. On the actual day, my team and I oversee the setting up and vendors to make sure things go smoothly. I am in charge of the couple's wedding gifts as well. 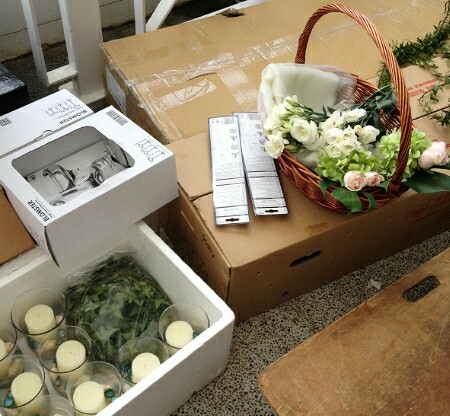 BEAUTIFUL FLOWERS AND CANDLES FOR THE WEDDING DECORATIONS. Working days are usually based on appointments by couples to work on their wedding. Sometimes, I have to visit vendors and venues if I am sourcing for options. Most of the time, I work during office lunch breaks and after office hours (after 5pm) since most couples are working adults. What is the most interesting or memorable wedding you have planned so far? Once, a couple held two weddings, a lunch and a dinner banquet. The lunch was for their family while dinner was for close friends. The ambience was different for both since they wanted different kinds of music to be played but the couple chose to use the same colour scheme for both weddings: black and white. It was memorable and interesting because couples usually have one wedding for both family and friends. It was quite a tiring experience but the level of accomplishment I felt was much higher. Any emergencies you have to deal with? Emergencies are quite common such as couples forgetting to bring things when they are supposed to and lack of time to pick up the bride's dress. Just the day before, the wedding couple for tonight called me, telling me they left their wedding certificate in a taxi. After calling up the taxi company, we managed to get the certificate back. This is one of the more serious emergencies because without a certificate, the wedding cannot take place! How long have you been in this industry and how has it changed over the years? I have been doing wedding planning full-time for four years. The industry is changing in a good way. Maybe due to western influences, couples are more open to adding new twists to typical wedding traditions. More couples come in with more ideas and concepts since they are more tech-savvy now. As a planner, I have more freedom to inject creativity in the wedding and it is more fun. Each wedding is different for each couple so the experience is always refreshing for me. I find it nice listening to different couples telling me how they got together and it is touching to hear them say their vows on the actual day. Weddings are happy events, so I feel fulfilled after each one. 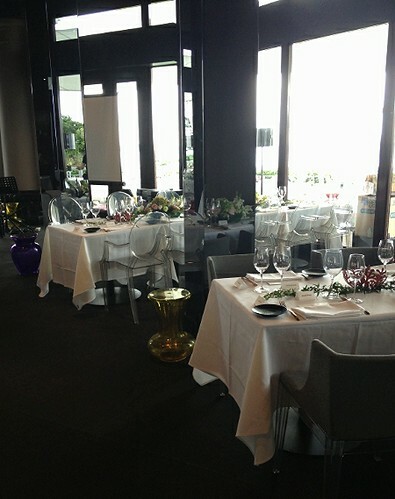 Any difficulties you face as a wedding planner? It would be the level of expectations because couples can be very demanding sometimes. I try to prevent problems by stating possible limitations from the start to avoid misunderstandings. Sometimes, the problem may not lie with the planning but with vendors, since people can be hard to manage. If there are any problems, I have to intervene. Do you have any advice for aspiring wedding planners? You must always be prepared and ready for the couples. Sometimes, couples may panic the night before their big day, calling you up at any time of the day and you have to help them feel secure. Even if they call you past midnight, you have to be there for them and this may cause you to lose part of your personal life. Be ready to embrace that. Educational requirements: None, but a Diploma in wedding planning or events management will give you better prospects since people look at qualifications. Passion, basic knowledge and experience are the most important. Qualities: People skills, empathy, be detail-oriented and the ability to keep calm in emergencies. Working hours: Irregular and varies according to appointments. Usually during lunch breaks and after typical work hours. Weekends are mostly devoted to weddings. Salary range: Varies according to weddings and how many weddings are running that month. Ranges from $1,800 to more than $5,000 when business is good. Career prospects/advancements: Freelance, events management, graphic designing or set up your own company. Specialisations: Parties, full weddings, typical Chinese weddings, church ceremonies and handmade wedding favours.